Following the contours of the River Douro, which cuts deep twists and turns through the mountainous landscape. The Douro is the wildest and most rugged wine region of Portugal. Narrow, stone-walled vine terraces engrave the steep slopes along the river bank of this enchanting valley. Considered such a beauty it was named a UNESCO World Heritage Site in 2001. The Douro is also the oldest demarcated and regulated AOC wine region in the world, producing undoubtedly some of the best and most unique wines to be found. 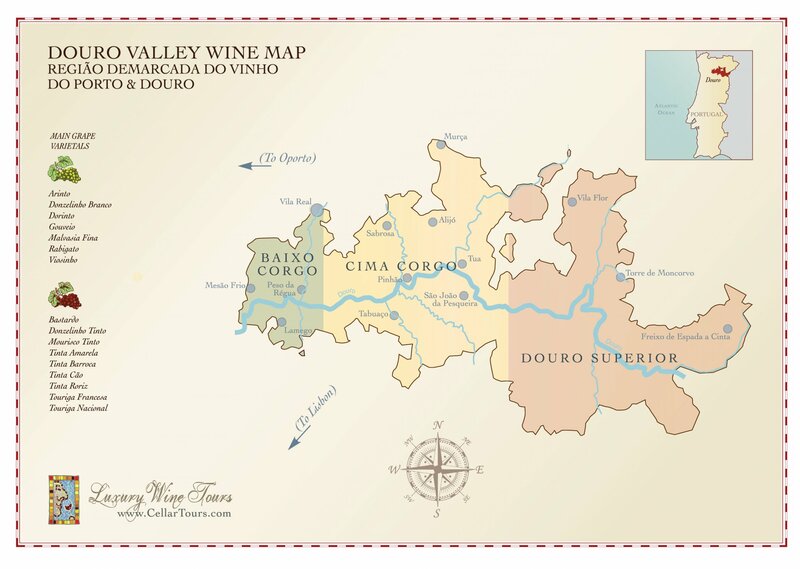 Embed Douro Valley Wine Region Map on your site: copy and paste the code below.